Dust Tapered Reducer - 4 to 2.25""
A single step reducer allows you to create some consistency within your dust collection system design. Using larger diameter as the main pipeline back to the machine, you can reduce to a smaller hose diameter off of the main line to power tools or stationery machines that have smaller dust ports. 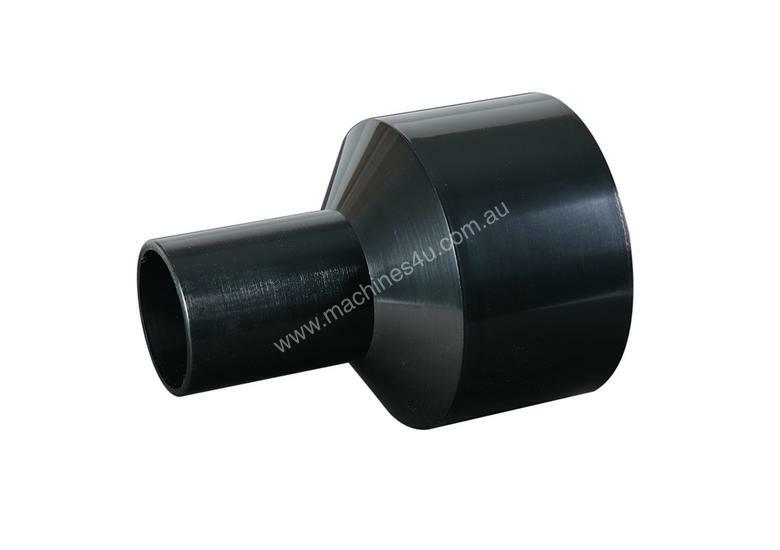 For those wishing to know the internal and external dimensions for connecting to existing machines or other setups – internal 94mm / external 100mm. Dust Reducer - 2.5 to 1.5" - Plastic"
Dust Reducer - 4 to 2.5" -Plastic"
Carbatec Plastic Dust Chute - 10 x 4""
Dust Tapered Reducer - 4 to 2""
Dust Y-Junction - 3 - Plastic"
Dust Reducer - 4 to 2.25" Eccentric"
Carbatec Dust Elbow - 4 - Plastic"
Dust Reducer - 6 to 5" - Metal"
Dust Reducer - 5 to 4" - Plastic"
Carbatec Dust Reducer - 2.5 to 2""
Dust Reducer - 4 to 2" - Plastic"
Dust Reducer - 4 to 3" - Plastic"
Dust Reducer - 6 to 4" - Metal"
Carbatec Threaded Reducer - 4 to 3""